England defender Kyle Walker is finding meaning in the game no one wants to play. The third-place match will be held on Saturday (Bangladesh time 8pm). "It's still something massively to play for, to be the third-best team in the world," Walker said after Wednesday's semifinal loss to Croatia. "Who would have thought it, at the start of the tournament when everyone was writing us off? "We've still got a very important job come Saturday to go and beat the Belgians and get the bragging rights over them because they beat us in the group stage." 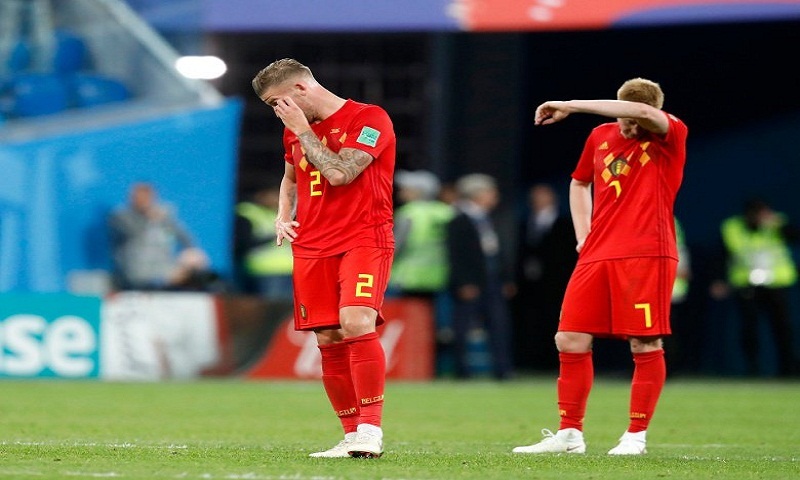 Both had already qualified for the round of 16 when Belgium beat England 1-0 in the last game of the group stage on Adnan Januzaj's curling shot in a game likened to a friendly thanks to 17 lineup changes. Harry Kane, the leading scorer at the World Cup with six goals, said he isn't motivated by the chance to secure the Golden Boot for top scorer in the third-place game. "It's not something I'm really thinking about," he said. "It's not the game we wanted to be in, as a team. It is what it is, but we'll try and play that game with as much pride as a team as try and finish on a high. We're still going to be hurting." However, many third-place games have been one-sided, like the Netherlands' 3-0 victory over Brazil in 2014, or a source of trivia, like Turkey's 3-2 win over South Korea in 2002.